Twenty-six-year-old Emily Castles is out of work…again. So when famous romance author Morgana Blakely offers her a job helping out at a conference in London, Emily accepts. Just as eagerly, American blogger Winnie Kraster accepts an invitation from Morgana to attend as a guest, not realizing she has, in effect, accepted an invitation to die. As a cast of oddball characters assembles at the conference hotel, grievances, differences, and secrets begin to emerge. When Winnie goes missing, and then is found murdered nearby, Emily begins to suspect that someone involved with the conference is responsible. Would you try another book from Helen Smith and/or Alison Larkin? 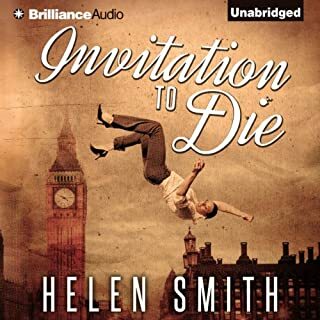 What was most disappointing about Helen Smith’s story? What didn’t you like about Alison Larkin’s performance? Very little do I give one stars. I could not finish it which is rare for me...I listened 2 more hours then I should have after I kept thinking it would get better. 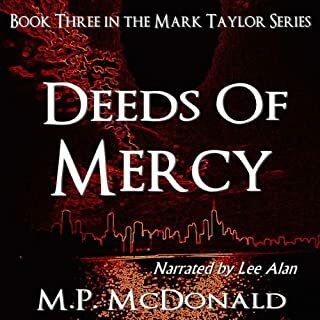 In Deeds of Mercy: Book Three, an unexpected visitor from Mark's past brings him unwanted attention from the authorities. Unable to decide who is friend and who is foe, Mark becomes a fugitive from the law, but with thousands of lives at stake, he is forced to put aside his fear of capture, and instead, seek help from his pursuers. Would you try another book from M.P. McDonald and/or Lyle Allan? I only listened a little over 12 minutes, I did not like it even that much to give even more of a chance then that. I very little give one stars, this is one that got it across the board from me. 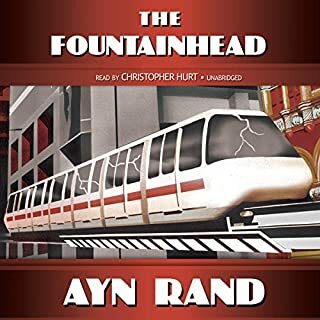 What would have made The Fountainhead better? Would you be willing to try another one of Christopher Hurt’s performances? Revenge scene, don't want to give to much away and ruin it. Had trouble stop listening ... Was very good. This often sweet, occasionally angry, but mostly hilarious true story of one Southern woman's swim through the murky waters of marriage and divorce is a quirky gem. Judy Conner refers to her former husband simply as "That X," which is perfectly understandable considering some of the antics he pulled. Although the stories of her X are sometimes humiliating, they are always funny. And Conner makes one thing perfectly clear. She and her X shared a love - albeit a surreal one - that was completely true. 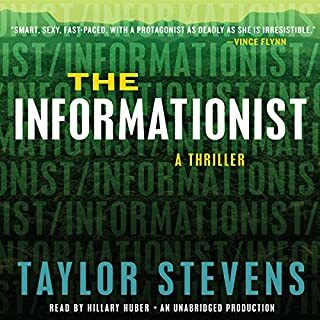 I liked the narrator but the story was a little weak for me. 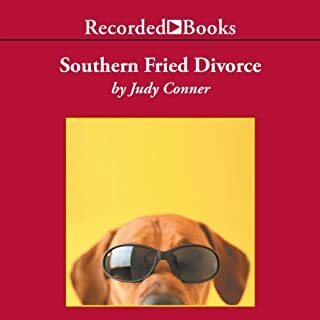 Would you recommend Southern Fried Divorce to your friends? Why or why not? Not really,it was ok but not one of best book. When ex–Vegas showgirl and local business owner Bunny Reid starts an online dating service called Cupid’s Cat’s Meow, out-of-town visitors flock to her bowling alley for the speed dating and cat show events that she hosts to bring in extra cash. Bunny’s scheme sounds harmless enough, but school psychologist Skye Denison knows all too well that an influx of strangers in Scumble River always spells trouble…. I enjoyed listening to this cute mystery. 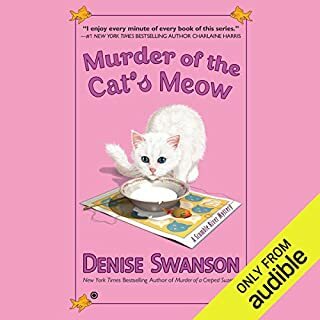 Could you see Murder of the Cat's Meow being made into a movie or a TV series? Who should the stars be? 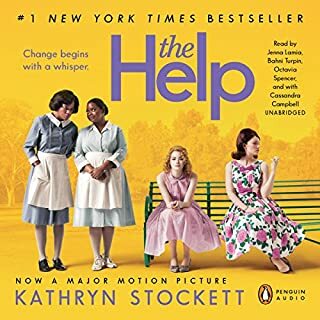 What did you love best about The Help? The culture of the south and the women structure that intertwined across economic lines and heritages. Who was the most memorable character of The Help and why? I cant choose just one. They are all strong characters and making you want to glimpse even more into their lives and families. Many that do southern dilect readings come across sometimes a little to strong. This was the right mix and those of us from the south have new wonderful southern strong women in liteature to uphold.